The philosophy at WhitePython™ is very simple. We aim to offer entirely new, innovative and unique products that exceed our customers expectations through function and quality, whilst delivering exceptional value. Our range of Modular LED lights for example, offer a new way to light a terrarium whilst offering energy and cost saving advantages; as well as providing our customers with a product that is easier to install and maintain than any other lighting system on the market. We weren’t the only ones to think that though; when they launched in September 2012 they were an instant hit with customers in the UK, selling over 1,000 kits in the first 3 months alone. Unlike many other brands in the industry, WhitePython™ will not simply re-package and release the same products on offer through other companies. Each product has been envisaged, invented, tested and finally brought to market. 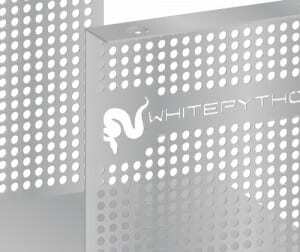 Product development and innovation is so important at WhitePython™, we are determined not to go down the same route as most brands when it comes to selling our products. In our home country of the United Kingdom, we work with just 5 key distributors who supply our products directly to reptile stores across the UK. This way, we can focus our efforts entirely on the things that matter most – innovation. If you have a product suggestion, we would love to hear from you; please fill out the form below and we will be sure to get in touch. You can also keep up to date with our developments on Twitter and Facebook.